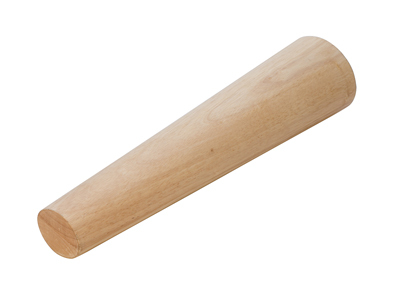 Wood Bracelet Mandrel. Made of hardwood for durability. This mandrel measures 15 inches long and tapers from 1 1/4" X 1 1/2" to 2 1/2" X 3" in diameter.